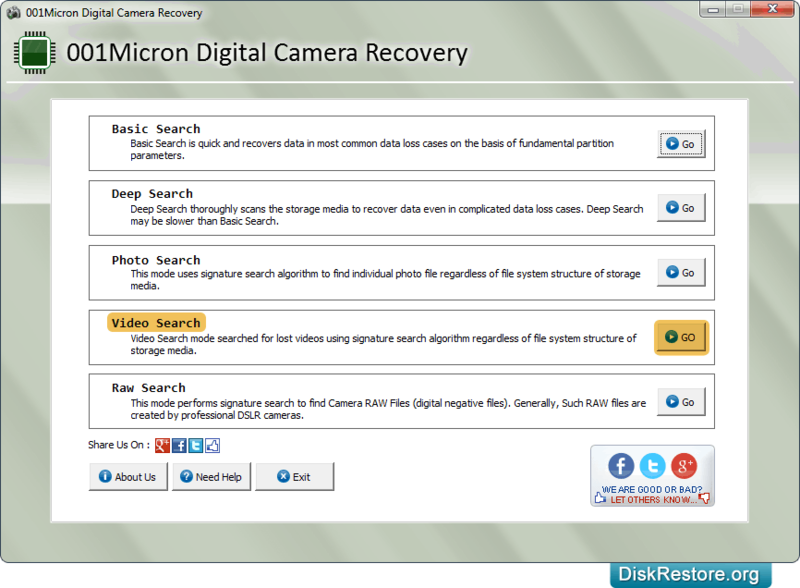 Digital camera data recovery software retrieves photos, pictures, snaps, images, audio video files accidentally deleted from your digital camera device. 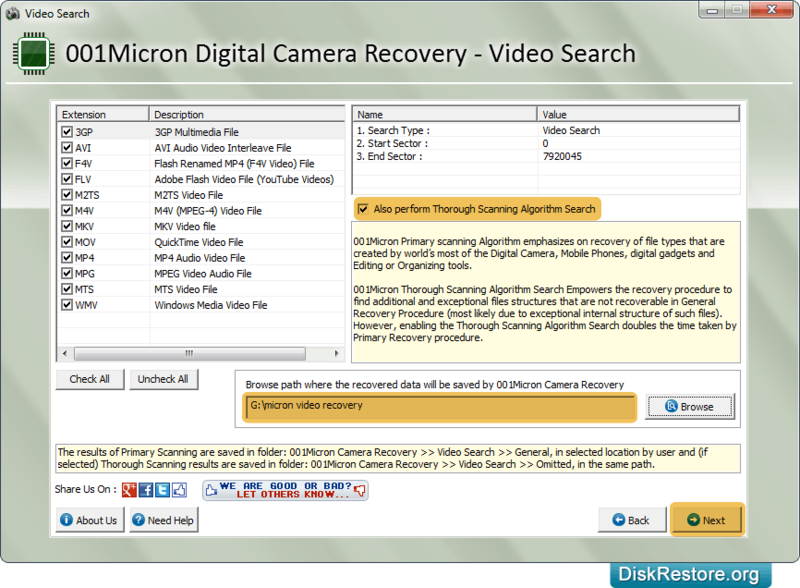 Software retrieves data saved in jpg, jpeg, png, mpeg, 3gp, wav etc. file formats from major digital camera brands like Canon, Konica, FujiFilm, Olympus, Sony, Panasonic, Phillips, Yashica etc. 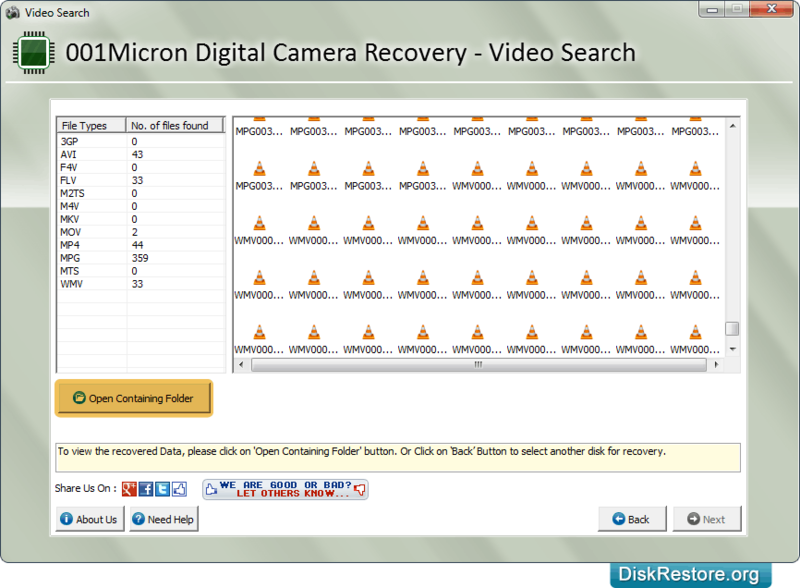 Choose any one searching mode for restoring lost data files and go to next screen. 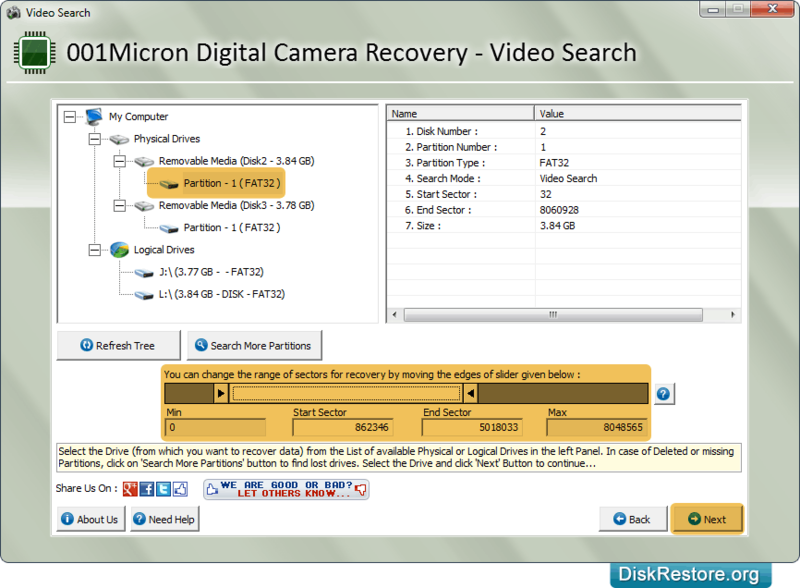 Select partition from which you want to recover lost data files and folders. Browse path where you want to save recovered data files and click 'Next' button to continue. 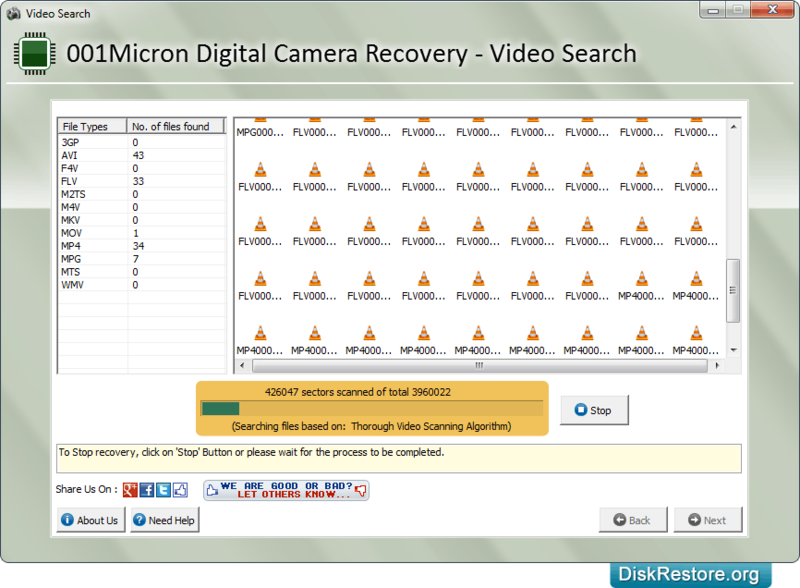 Files searching process using Thorough Video Scanning Algorithm is going on. Click on 'Open Containing Folder' option to view recovered data. Supports various types of digital camera including Point and shoot cameras, Novelty cameras, Specialty cameras, Digital video cameras and any other type of flash digital camera. Software can be used by technical as well as non-technical users and allows recovered files to be saved at user specified location future reference. 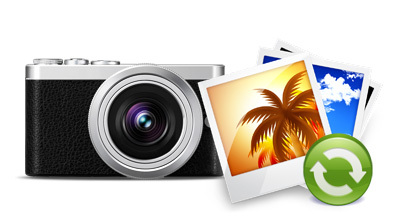 Retrieve and restore pictures/images/digital stills/photographs from digital camera storage media. Support all major digital camera manufacturers Kodak, Nikon, Olympus, Hitachi and other equivalent brands available in market.